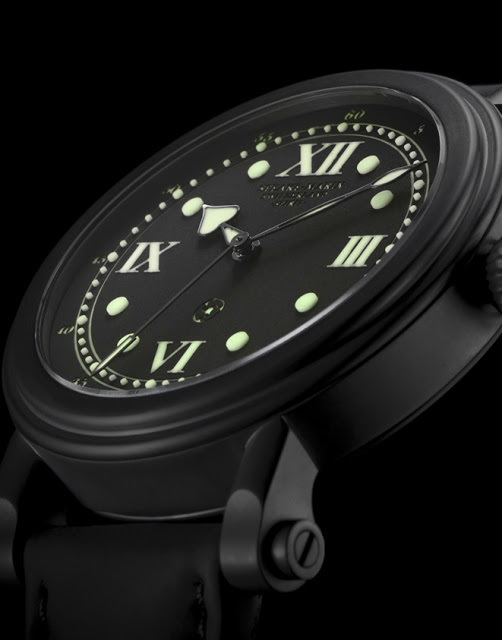 Speake-Marin’s Spirit Mk II is now available with a DLC coated case, expanding the brand’s entry level offering of military-inspired timepieces. Originally only available with a steel case (though a handful in rose gold were made), the Spirit Mk II now has the option of a diamond-like carbon (DLC) coated steel case. Design and specs are identical to the original Spirit Mk II, but the DLC version looks and feels more military, with the raised Luminova numerals made even more striking against the dark case. 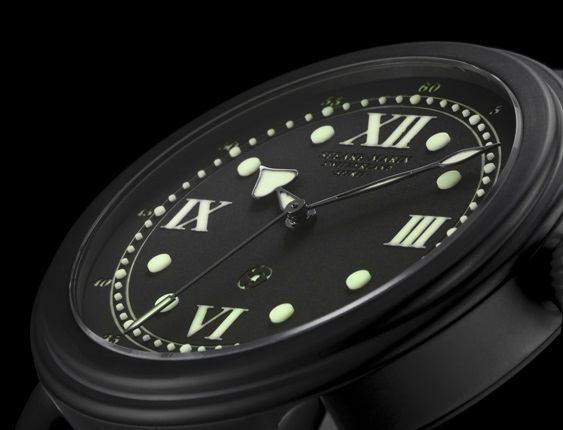 First used on the limited edition Pioneer Spirit, Speake-Marin’s first sporty wristwatch, the dial has thick, moulded SuperLuminova indices for the hours and minutes. Though not immediately obvious, this detail gives the dial a strong and distinctive appearance. 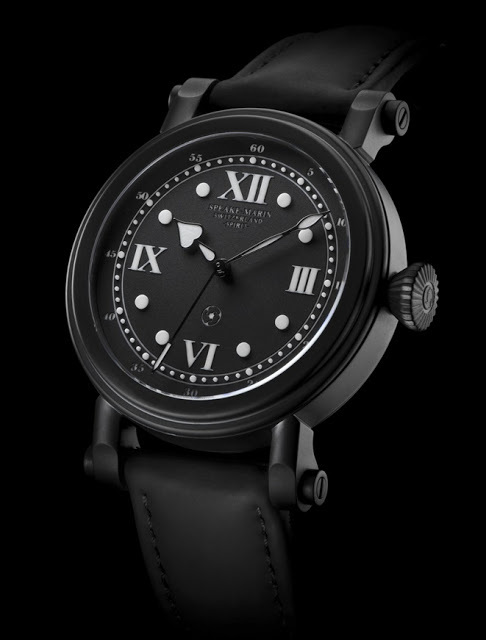 The 42 mm case has a sandblasted, frosted finish, over which the black DLC coating is applied. Inside is the Technotime TT738 automatic movement with a useful five day power reserve.